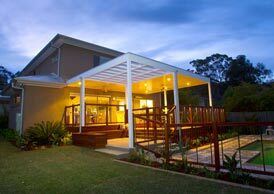 This new build home was nearing completion when Valley Garden Landscapes were called in to undertake a full landscape design and construction. 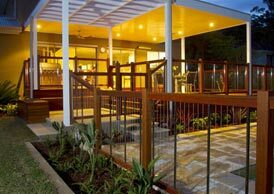 Continuity between the indoor and outdoor areas was important particularly given the substantial difference in height between the finished levels in the house and the garden. 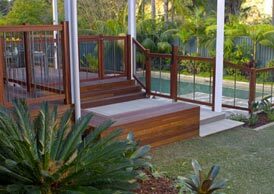 A substantial covered, raised deck was designed with in-built seating and wide steps to maximise the useability of the space and to make it as child friendly as possible. 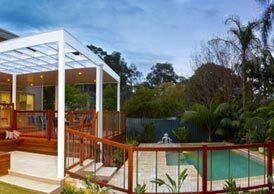 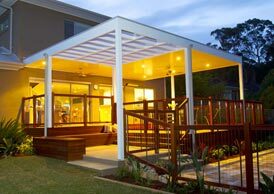 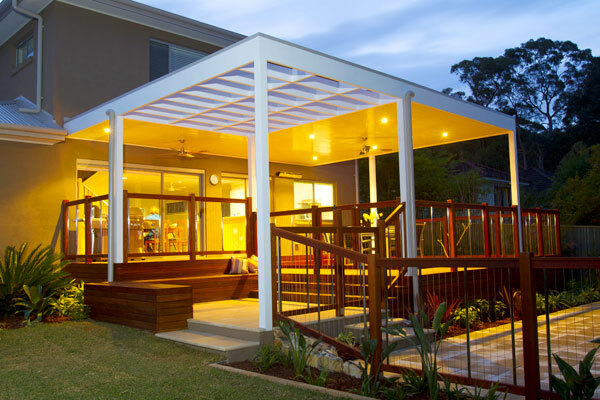 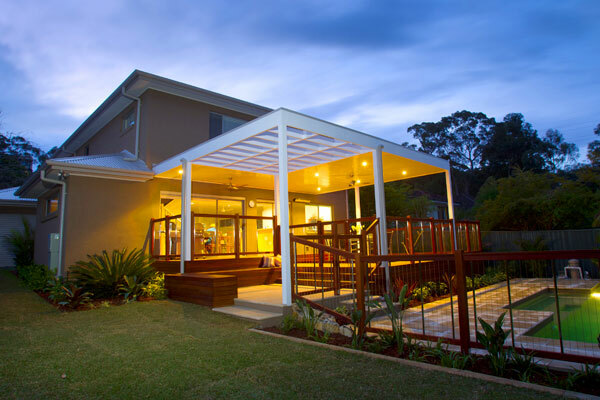 The latest and most cutting edge products were incorporated from the lightweight pergola ceiling lining to the timber and stainless steel pool fence. 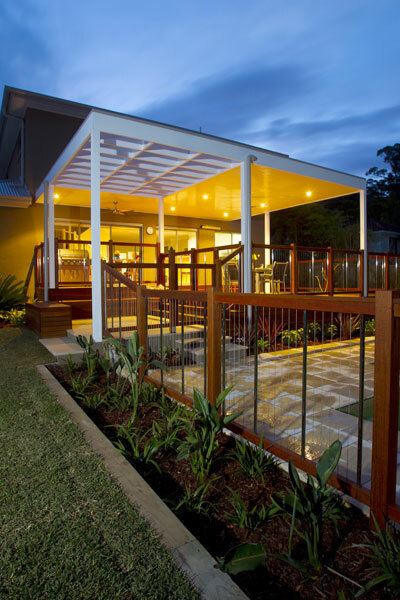 Down lights and sealing fans set into the ceiling really accentuate that indoor-outdoor feel. 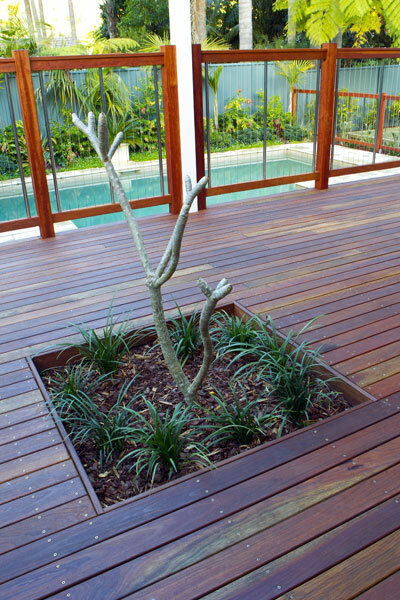 The plant material chosen reflects the client’s wish for a tropical style theme. 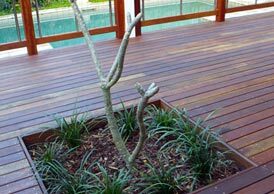 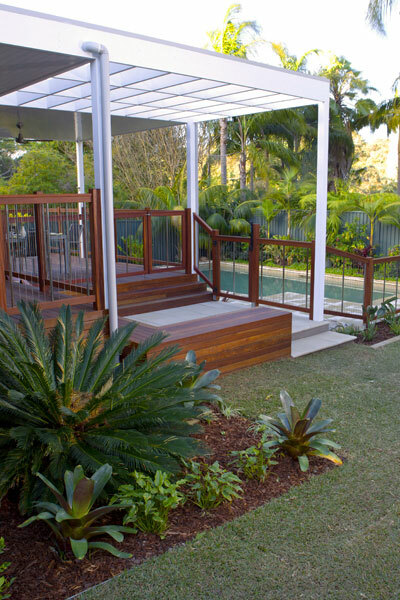 The feature plant will eventually be the beautiful Frangipani planted into the deck. 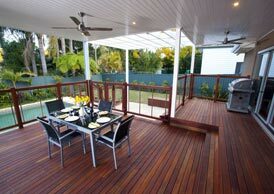 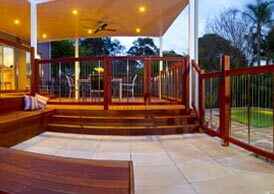 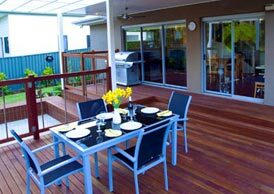 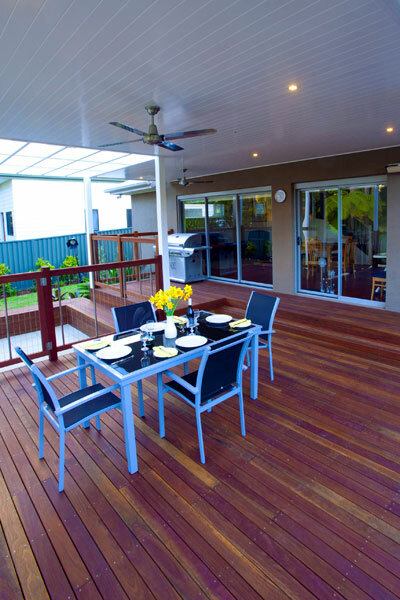 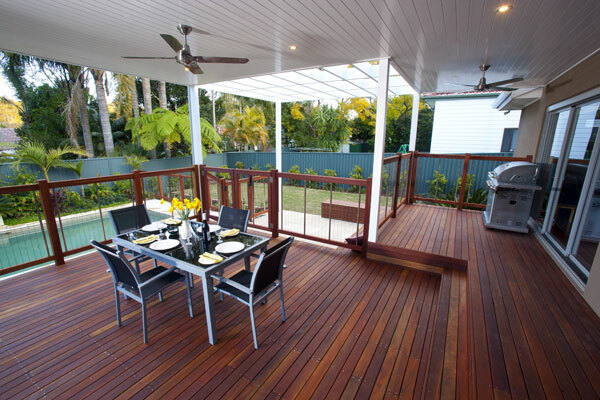 The clients are absolutely delighted with the results and despite having a brand new home spend most of their spare time on the deck either as a family or entertaining friends.